Seafood: Seafood Distributor: Tichon Seafood Corporation the highest quality and value within the seafood industry. After years of operating a local grocery store that also served as a ship supplier Herve Tichon purchased his own commercial fishing vessel. Then in 1942 he and his son Everett opened their own cutting house on Homer's Wharf in New Bedford, Massachusetts. At that time a cutting house was a fairly primitive operation. Fish was skinned and/or filleted, depending on the species, put on ice and delivered. The supply was meager because of World War II and distribution was almost entirely local. After the war however, as experienced fishermen and younger men looking for work returned to the New Bedford area to take berths aboard fishing boats, the seafood supply suddenly became abundant and freezing entered the picture - it was the only way to keep seafood fresh during peak seasons for sale during slack seasons. 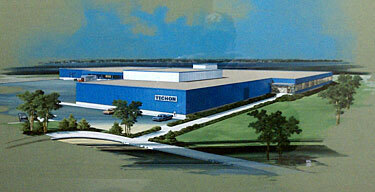 Tichon Seafood was one of the first companies to begin freezing seafood. The company emphasized quality and also, at a time when imported seafood was making its first impact on the American market, stressed the use of domestic seafood. and the sea shall feed the world". This motto is proudly embedded on the logo of Tichon Seafood Corporation of New Bedford, MA. Currently the sea does provide a bulk of the world's food supply and that is a direct result of forward thinking companies like Tichon Seafood. Beginning with founder Herve Tichon, continuing with his son Everett, then his grandsons Ron and Dan, and now great-grandson Dave, Tichon Seafood continues to pride itself on the highest quality and value within the seafood industry. Each day begins around 5:00AM when we personally inspect, grade and purchase fresh seafood direct from the boats at the auction that morning. After receiving the product, we start the process of getting this product to our buyers in order to meet their deadlines. A large advantage is we produce our own ice, this assures each buyer the product remains temperature controlled and arrives fresh. We send our own trucks to Boston, MA everyday to delivery each order to the appropriate transfer stations or airline depending on the customers needs. Our staff works diligently to source the highest quality seafood available, direct from the best fishing grounds to you! © Tichon Seafood Corporation. All Rights Reserved.